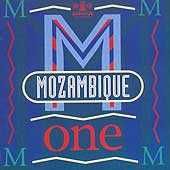 This is the third album in the series of releases from MOZAMBIQUE recorded in situ by the GlobeStyle mobile recording team in October/November 1989. The team comprised Ben Mandelson, Roger Armstrong and David Young. ... This and i ts companion volume, vovers a broader selection of the music and musicians of Mozambique whom we were lucky enough to record... Our recordings were made using the classic technique of balancing the sound by arranging the musicians in relation to a stereo pair of microphones. Throughout our visit we usually used the same recording procedure - enquire about the local cinema (invariably excellent acoustics, appalling old Russian films), find out whether there was a power supply and set up the mikes.